Comparison: every woman understands the undertow of this word all too well. It’s the ugly stepchild of jealousy and the close twin sibling of inadequacy. up on our doorstep wearing combat army boots, taunting at our soft underbelly and ready for a fight. And too often we answer that door only wearing our thin pajamas and sleep-mussed hair. My ability to understand a certain topic or hold a heated discussion with witty dialogue and clever insights. The list can go on and on…and the statement: if you can do something, I can do something better, applies by our ugly stepchild flipping it on its ear against us. It all stems back to the root of this lie: I’m not good enough. If we call into question how good (or how not good) we are, are we not also calling into question the work that Jesus Christ did on the cross? Are we also not calling into question the grace that is sufficient for you? Are we not also calling into question that love that flows deep and wide, rich and true stemming from the blood shed on Calvary’s cross? 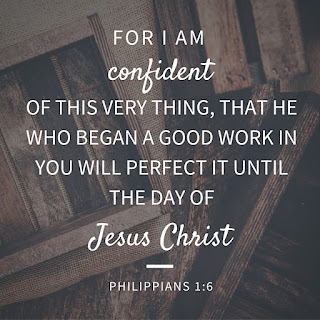 When we call into question and compare who we are with someone or something else, no matter what that is, we’re telling God that He didn’t do a very good job. He failed when He was knitting us in our mother’s womb and that the gifts He has given each one of us are not sufficient. So that gift of encouragement that you have? The woman sitting next to you in your Bible study, really wishes she had. That gift of hospitality that makes someone feel ultimately warm and welcome in your home or your embrace? Your next door neighbor envies. The thing with comparison? Someone is always doing it with you. Always comparing themselves to you. Probably the same person you are holding a mirror to. And it steals your joy. Devalues the gifts that only you can uniquely do because God has given you those roles. Those people to reach. Those lives to touch. And because there is no one else like you, only you can do this job. God is still working on you in that. Still growing and molding you. Jesus isn’t done with you yet. And He’s not done with the person you’re comparing yourself to. So stop. Breathe in. Exhale. Jesus isn’t done with you yet. He has gifted you richly. Don’t throw them away wishing for something someone else doesn’t even want. And kick that ugly little stepchild to the curb with a well-aimed spiky heel. Casey is a homeschool graduate and has been writing since high school. She is an Eastern Oregon native transplanted into the city of Colorado Springs nestled in her own 1904 bungalow apartment just below the lovely Pikes Peak. Taking the words and stories God has placed on her heart and putting them on paper is one of her highest passions in life. Casey is a member of ACFW and their Carol Awards Coordinator. 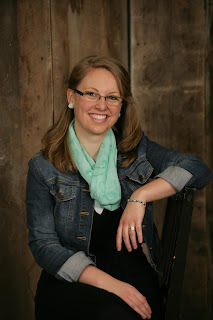 You can connect with her through her personal blog, Writing for Christ. Thank you so much for having me, Susan! I am so honored to be here and share a bit of my heart. This is definitely a subject that is a struggle for me and I hope it encourages your readers this Monday morning. I'm honored to be here, thank you again!